Reading On the Road, I wondered whether the spirit of the character of Dean Moriarty had suffused itself into American culture – I saw it everywhere. The incessant traveler, lover of sights and people and smells, rubbing his belly for joy, sweating, American Odysseus without a home, Walt Whitman re-incarnate. Without Dean Moriarty, the journeys that author Jack Kerouac wrote about that he took with Dean would never have taken place. Dean was the leader. Dean would sweep unexpectedly into Jack Kerouac’s (who refers to himself by the name Sal Paradise in On the Road) life, frequently travelling across the entire North American continent to arrive at his friend’s doorstep without advance notice. And they would take off. If Dean met Sal on the East Coast, they would head west. If Dean hit up Sal in San Francisco, they drove back to New York. Once when they were both in Denver, they headed south to Mexico. The destination did not matter, because it was the road. Wives were left behind. Frequently, the new destination would mean meeting ex-wives that had been abandoned on previous trips in the other direction. Dean Moriarty was the Odysseus of Tennyson not Homer, sailing away again from his island-kingdom not because he loved his family less, but because he loved more the drumbeat of heroic adventure in his breast. But while On the Road is a story full of exhilaration for life, emerging and gasping and beautiful like all things in their bloom, the journey is punctuated by the sublime notes of sadness characteristic of the Beat Generation (for which On the Road became a manifesto in the 1950s). The lonely, dusty Western towns Dean and Sal visited on their travels. The sad eyes of the women in a Mexican village whorehouse after the delirium of alcohol and mambo in them had subsided. Dean and Sal parting ways after the end of an odyssey, the road now drawing them apart as they walked in different directions. The never coming home. But most poignant of all is the longing. The legend is that Jack Kerouac wrote On the Road frantically, in three-weeks time, without editing. He later said that the best words were the ones that came to mind first. Reading On the Road, the words do fly off the page. They are a rude instrument, almost a hindrance, for the ecstatic, free-flowing spirit of life that Kerouac seeks to describe. 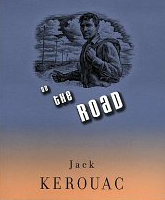 With this word-craft Kerouac casts his legend about his travels with his friend Dean Moriarty, whose real name was Neal Cassady. Kerouac wrote about a person whose enthusiasm for life, travel, and meeting strangers was childlike and joyous and genuine, so unlike what contemporary tourism is today (at least from what I’ve experienced). Whether the stories in On the Road were true or not never crossed my mind while I was reading – I didn’t care for the same reason I don’t feel sad anymore about finishing reading a good book. I know the characters will stay with me, as myths, and that is what matters. They are alive in me as long as I live, a slight nudge of a difference in my personality, though Neal Cassady was a long time rotting in the ground even before I was born. On the Road, as most stories, is pregnant with the spirit of life, or at least a kind of life. Is loneliness a significant factor in characters’ lives? and the reason for their travels? Yes, both Sal Paradise and Dean Moriarty are characters without a home (or at least a place that they feel is home). Dean and Sal only feel at home on the road, which is when they are the least lonely. But relationships on the road are transitory ones, which is the ironic/tragic part. I think loneliness is part of the culture of America, like the famous painting “Nighthawks” suggests: http://en.wikipedia.org/wiki/Nighthawks , and Jack Kerouac portrays that very well in his writing. Sounds very similar to Steinbeck’s “Of Mice and Men”. Very interesting personal perspective of the book. So, did Sal ever return to the family he left when he went on the road with Dean? Or just start a new life wherever they happen to ‘land’ each time? Sal ended up where he began – New York City. He found the girl he had been looking for all along and settled down with society friends (the first quote above hints at how boring and pretentious they are, dragging him to the “the sad and disinclined concert for which [he] had no stomach whatever”). And Dean skulked away in the night to his own life in the west. A quasi-heroic, quasi-tragic ending, again reminiscent of Tennyson’s Odysseus, who found the odyssey itself a more welcome destination than returning home.